Original Scout rudder bar in David’s aircraft. After we’d been to the air and car show at Little Gransden, we decided that we’d head out west to Shropshire to visit David Bremner in Ludlow. 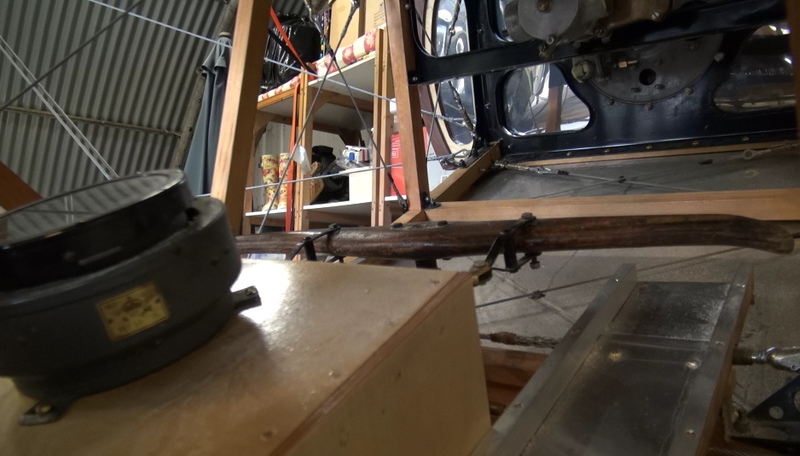 David is building a replica 1915 Bristol Scout aircraft, based around some original parts that he has from his grandfather’s Scout aircraft (including the original joystick and rudder bar. We first met David and his wife Sue, and co-aircraft builder Theo, when they were in New Zealand early in 2014 to inspect a Le Rhone rotary engine for the aircraft. 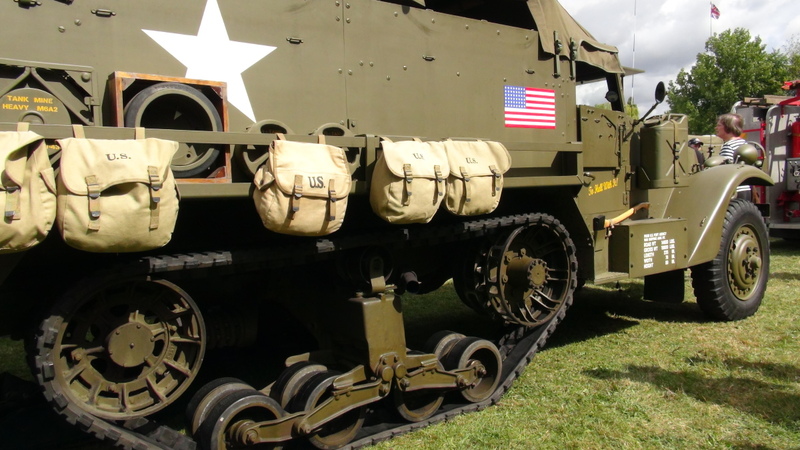 Our original plan on Monday the 25th (a bank holiday in the UK) was to head toward Rugby, to go and take a look at the Trucks, Tanks and Firepower show which was being held there — this being the final day of the three-day show. However when we got up we realised that the weather forecast was correct and that it was a rather grey, wet and dismal day – not even worthwhile considering trying to film anything in this sort of weather. So instead, we programmed the coordinates for our hotel into the GPS system and headed straight for the Shropshire area. 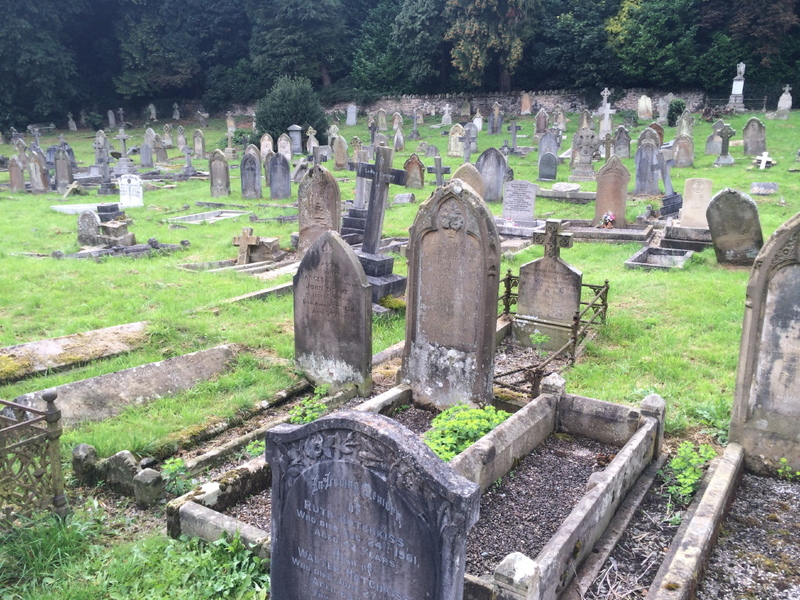 The old cemetery at Church Stretton which contains a number of Commonwealth War Graves — generally from the 1917-1922 period. We found our hotel on the side of a hill in a small village called Church Stretton about twenty minutes drive from Ludlow, and then we headed into town for a coffee and bite to eat, and then a look around the shops and the market for a little while (in the raini). It’s a very nice little town—especially the church which is almost cathedral in size—quite impressive. Some of the other buildings in the centre of the town were built in the 14th and 15th centuries—they’re also impressive! Ludlow Castle is quite famous and being a bank holiday there was some medieval re-eanactment and competitions going on—unfortunately we only found this just as it was finishing up (and two guys were beating on one another with some rather large swords). The following day we went and took a look at the Bristol Scout. 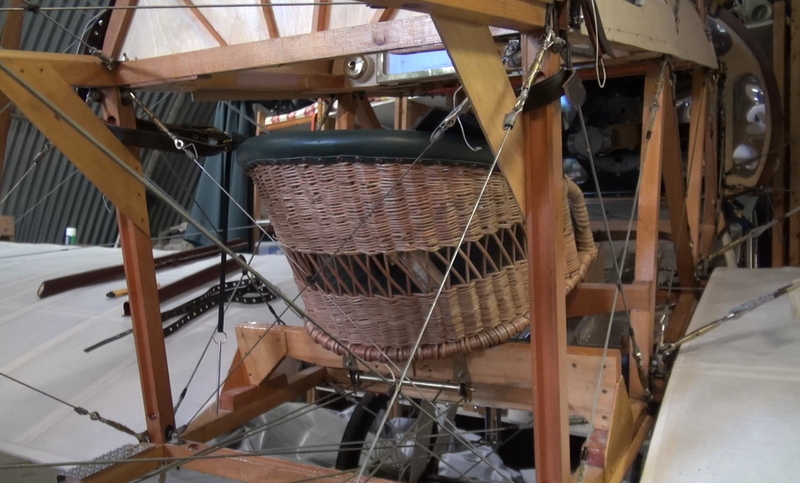 Work is progressing well—the wings are on, and all but the fuselage is now covered in fabric. There’s a bit of plumbing work to be done on the engine before it can be run again, but all in all it’s looking good that the aircraft may be fully serviceable, on schedule, toward the end of 2014. We wish David and Theo all the best in getting the aircraft ready to fly in time for the 1915-2015 commemorations next year. 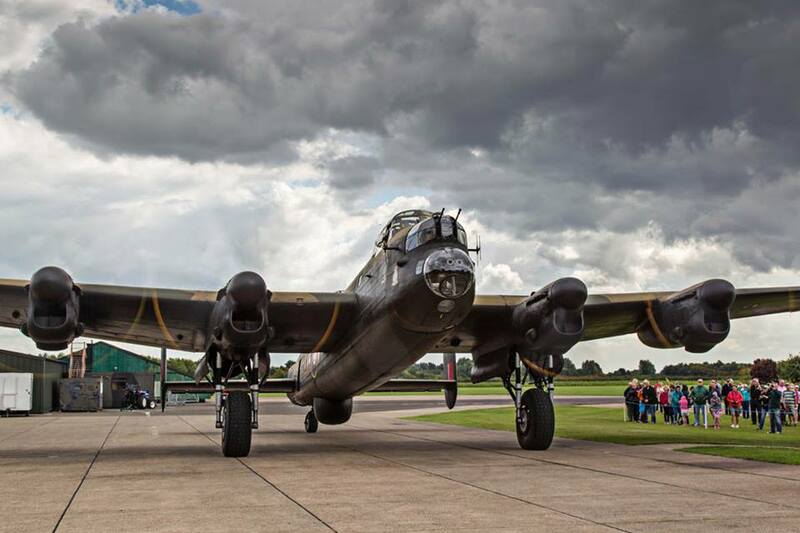 The BBMF Lancaster at RAF Coningsby. After a couple of days out west we then had to head east once more, back to the Lincolnshire area as we were quite keen to be able to film the RAF’s Battle of Britain Memorial Flight Lancaster taking off from its base at RAF Coningsby. Unfortunately this just wasn’t to be—the Lancaster’s departure for a show at Bournemouth was repeatedly put back throughout the day due to inclement weather, and by 2pm we couldn’t afford to hang around any longer as we needed to leave the area in time to pick up some tickets for our next event in Norfolk. However we did have a chance to have a good look around the BBMF Visitors Centre at RAF Coningsby—it’s worth a look if you’re in the area. 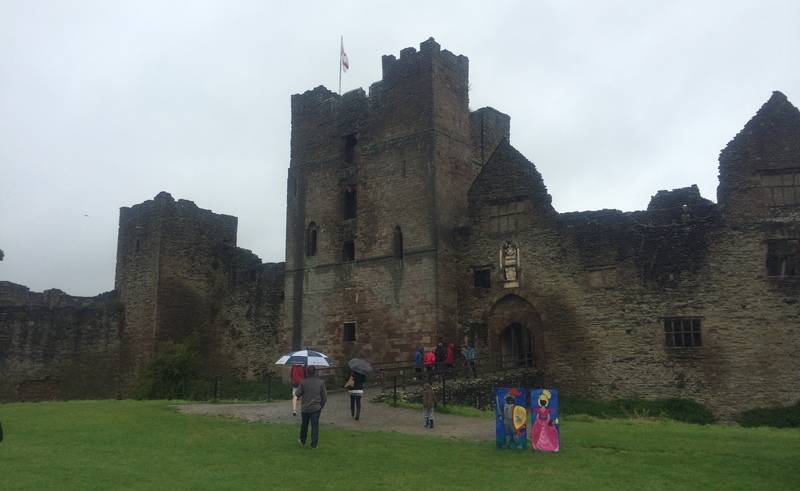 Ludlow Castle on a wet day. This entry was posted in UK Tour and tagged Bristol Scout, David Bremner, Scout aircraft on September 5, 2014 by Historical Aviation Film Unit. Amazing! We woke up early on the 24th August to find that the weather looked pretty good for an airshow—this is the first time in the couple of weeks that we’ve been here in the UK that the conditions look good for filming and taking photographs. To say that we were relieved that the weather would be good for the Little Gransden Air and Car Show would be an understatement! 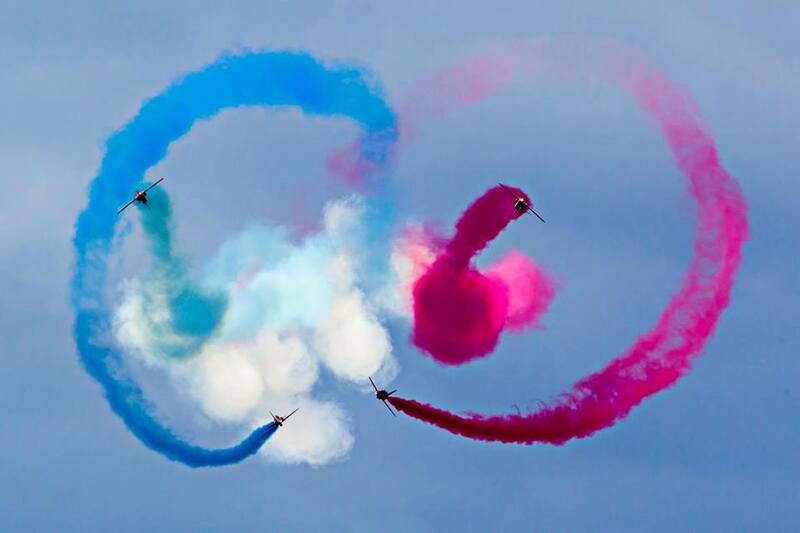 Airshows in the UK seem to work differently from the way that they do at home in New Zealand. You can get into the car park from about 8:00am onwards, but the gates to the show don’t actually open until 10:00am. So by 9:45am there’s usually a long queue of people waiting for the gates to open. At precisely 10.00am they do open, and then there’s plenty of time to look around the trade stalls and get food as the flying displays don’t start until about 1:00pm—in New Zealand half the flying displays are over by 1:00pm. In the UK flying runs through until about 5:00pm so there’s a good four hours of flying, and on a day like today when the weather was pretty good, and the flying programme can keep pretty much to schedule, they’re able to fit quite a bit of flying into the aerial display time, so it works out to be quite a good day. 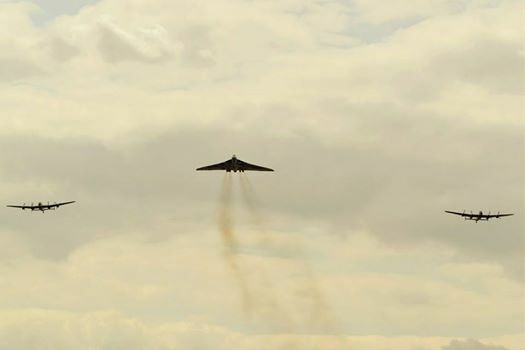 Little Gransden: The Vulcan departs. Little Gransden is just a small airfield, and there were approximately 7500 tickets sold which meant the place was pretty much at capacity. They’ve never (since 1992) had a sell-out crowd before, and the fact they did this time can be pretty much put down to the appearance of the two Lancasters, although another significant highlight of the day was the flypast of the Avro Vulcan jet bomber. At RAF Marham it just flew over with the Lancasters and then departed, where-as today it did three flypasts on its own and it was impressive— it was great to be able to see and hear this huge beast of an aircraft in the flesh. There were plenty of other things happening in the air to keep everyone entertained throughout the afternoon—Supermarine Spitfire, North American P-51 Mustang, Hawker Hurricane, Fiesler Storch, North American T-28 Trojan, more de Havilland biplanes, Spartans and a whole host of highly skilled aerobatic and formation pilots showing of their aircraft and skills. On the other side of the field there were military vehicles, buses, vintage and classic cars and all sorts of other things to see and hear. 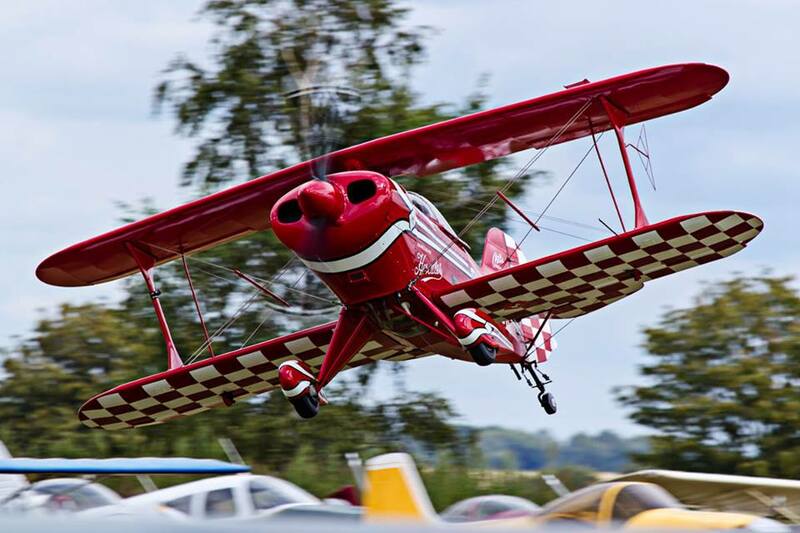 All in all it was a great show and a worthy cause (the show is designed to raise money for the BBC Children in Need Appeal)—if you ever have the chance to visit Little Gransden sometime, then do it! 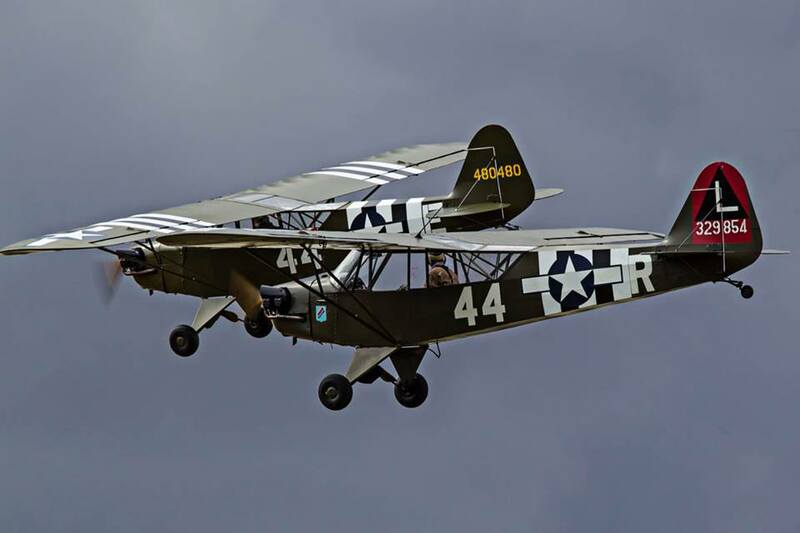 This entry was posted in Airshows, UK Tour on August 27, 2014 by Historical Aviation Film Unit. After seeing Just Jane at East Kirkby and the three Avro bombers in formation at RAF Marham in Norfolk mid-week, our next couple of days were relatively low key as we first took a break and then repositioned from Norfolk back to Bedfordshire ready for our next airshow. 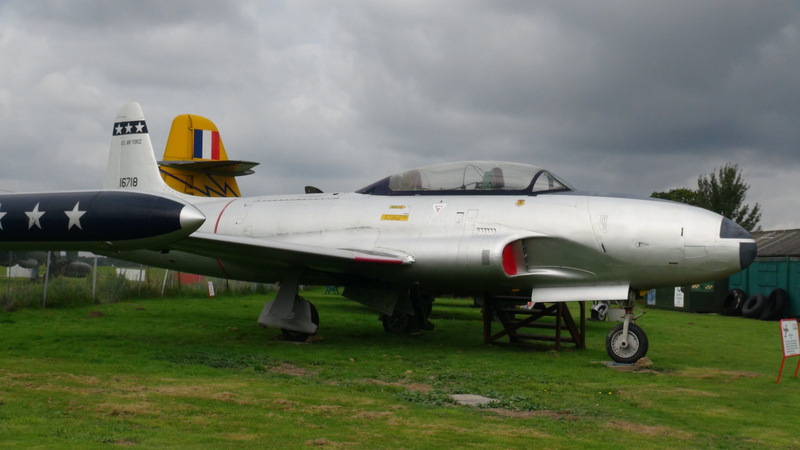 Norwich Aviation Museum: Lockheed T-33 Shooting Star. 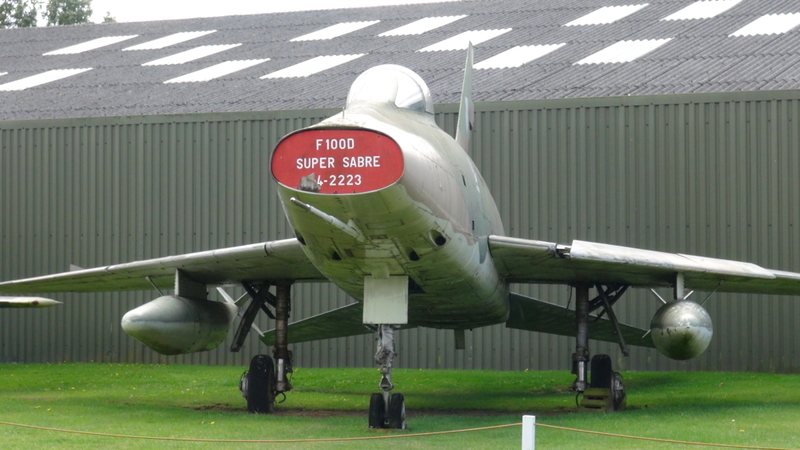 On Friday (22nd) we had a couple of hours wandering around the City of Norwich Aviation Museum which is located just to the north of the main airport at Norwich. It’s a small museum and all the aircraft exhibits are (once again) outside in the weather, but there were a few types there that we hadn’t had the chance to see before: Hawker Hunter, Sepecat Jaguar, Lockheed T-33 ‘Shooting Star’ and Hawker Siddeley Nimrod amongst others, along with the apparent favourites of many UK museums, the Meteor and Vulcan. The museum also has a significant amount of display information and artifacts inside which are related to the operations of 100 Group squadrons who flew from a variety of local bases during WW2 and into the post war era. This includes a great little display on the electronic warfare operations conducted from the base during the war. Again, it’s a worthwhile little museum to stop in at—entry is cheap at less than five pounds, and for a couple of pounds extra you can have a guided tour of the Vulcan and/or Nimrod. An unexpected bonus of our trip to the Museum was that shortly before we left the RAF’s ‘Red Arrows’ display team arrived overhead and landed at the airport just next door. We had a good view of all this activity and it was a nice way to finish the visit. The following day (Saturday 23rd) we needed to head south through Norfolk, on our way back to Bedfordshire to be able to attend the airshow at Little Gransden the following day. On our way we made a short detour toward the coast to go and find the Stow Maries Aerodrome. This is the only World War One-era aerodrome left in Britain that has any of the original buildings remaining. As we’ve done previously we didn’t check the website before we went there, and so when we arrived (on Saturday) we found that the opening days were only Thursday, Friday and Sunday. However we’d come this far so decided just to call in quickly to see what the place was actually like and what’s there. 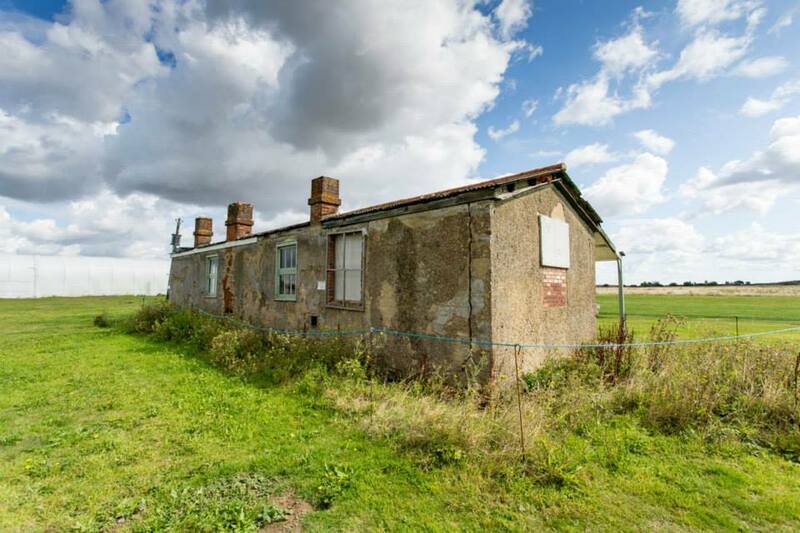 Again it was a bit of a surprise—we knew there were quite a few buildings from the Aerodrome’s WW1 history still in existence, but we didn’t realise quite how many are still there. While quite a few of these buildings are currently not open for public access (due to safety concerns), the whole area never-the-less gives one a real sense of history. The airfield itself was only used during the First World War and was closed shortly thereafter. It was not re-opened as a base during the Second World War as the relatively wet airfield conditions were not suitable for the newer, heavier fighter aircraft in use by then. This means that the original WW1 architecture and history has never been adulterated by subsequent events, again giving the place a real sense of history. Latrines (toilets), a Mess Hall (cafe), a small museum and a couple of other buildings are open to the public on the days the facility is open, and again, if you’re in the general area, it’s well worth a look—just make sure you check the website for opening days and times before you start your journey. Many thanks to Russell and the crew at Stow Maries who opened up the facility for us anyway, and who were quite happy to talk about the aerodrome and old aeroplanes for an hour or so. 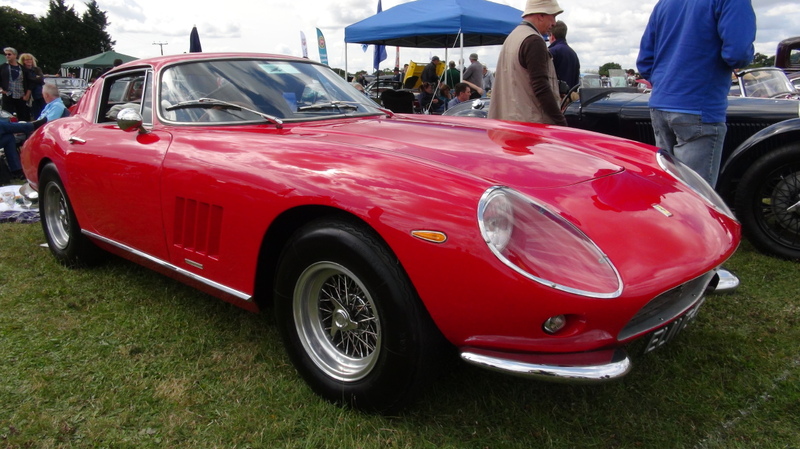 Once we’d finished at the aerodrome, it was back in the car for an uneventful trip to Ampthill in Bedfordshire, ready for the airshow the following day. Hoping that the wind will drop and that we’ll have a great day for filming…. This entry was posted in UK Tour on August 26, 2014 by Historical Aviation Film Unit. 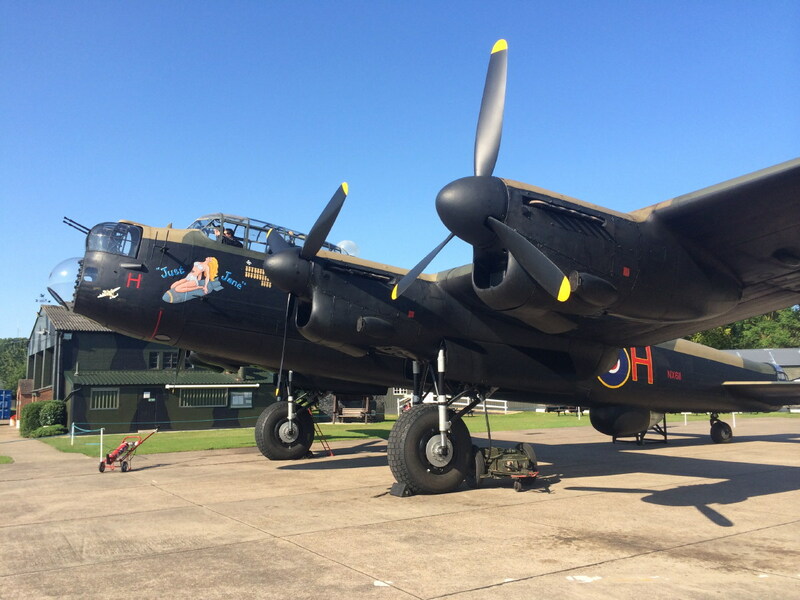 The next part of our tour featured a trip deeper into ‘Bomber Country’ to see yet another Lancaster (on the ground this time), and possibly a chance to see the two flying Lancasters once again. For those non-aviation buffs reading, ‘Bomber Country’ is the generic term that was given to the flat areas of Lincolnshire, Norfolk and the surrounding areas that were the home of many of the RAF’s bomber bases during the Second World War (large heavy bombers requiring much larger and longer runways than the fighter squadrons that were based in the South of England). One bomber, and parts of a base that remain is the Lancaster ‘Just Jane’ which is based at East Kirkby. 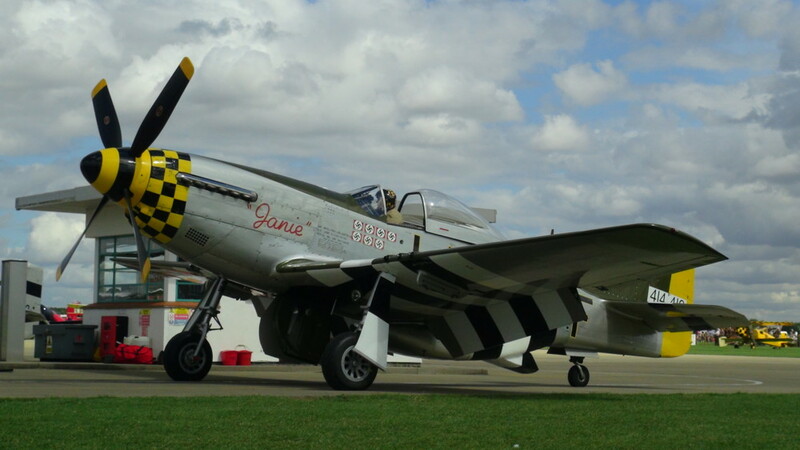 The aircraft is all but airworthy, and during the summer months it runs up it’s four Rolls Royce Merlin engines, and taxis up and down the strip several times. 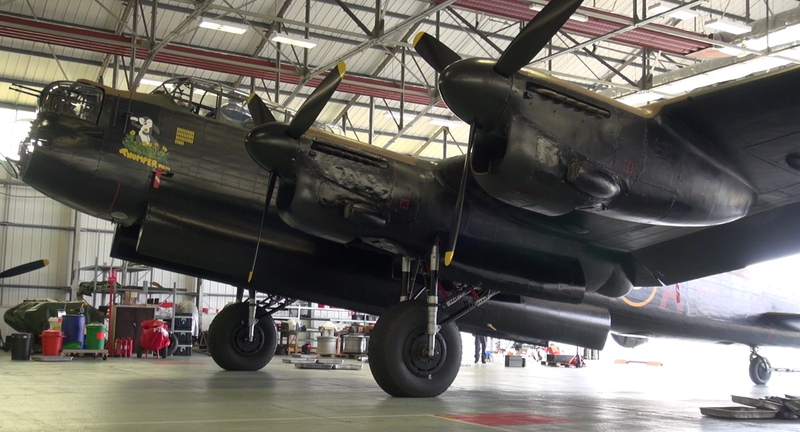 Lincolnshire Aviation Heritage Centre: Lancaster ‘Just Jane’ running all four Rolls Royce Merlin engines. If you’re feeling wealthy enough you can even pay to be on board the aircraft as it does its runs. To say that being able to stand in front of four Merlin engines running less than 25m away is cool is certainly an understatement—the sound and the feel of the throbbing engines is just awesome. It was so good in fact that we waited around for a couple of hours just to see the second run of the day as well. As it is there’s more of East Kirkby than ‘Just Jane’—they have a large display hangar with lots of information about the base, a DC3 aircraft, military vehicles, and a couple of smaller restoration hangars with the remnants of a Wellington bomber, and a Hampden bomber that is slowly being restored. 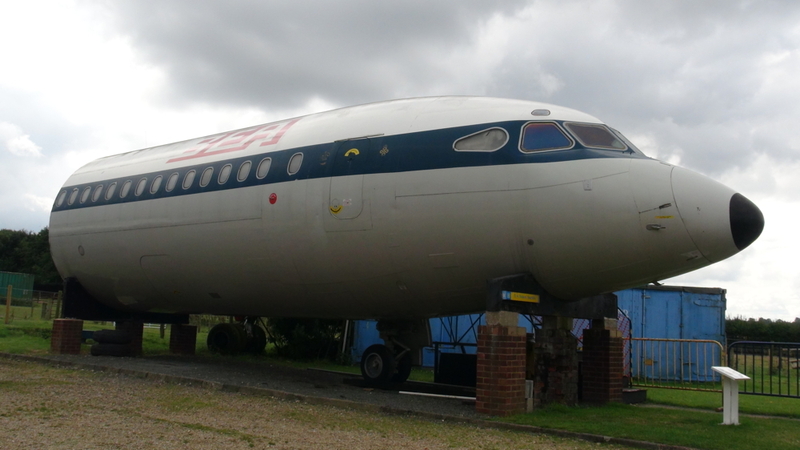 Again, it’s a worthwhile stop for any aviation enthusiast, and certainly has an additional (noisey) attraction that the usual static museum displays can’t boast. 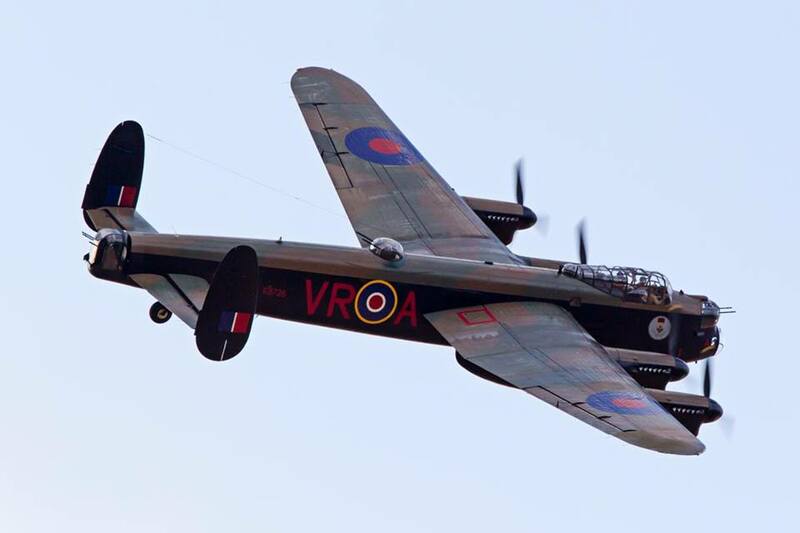 We’d heard through our network of contacts that the following day, there would be a chance to see the two flying Lancasters at the nearby RAF Marham base in Norfolk where the air force were holding a Family Day show on the base. RAF Marham: Three Avro bombers in formation – Vulcan flanked by two Lancasters. Our little birdy also told us that the two Lancs would be accompanied by the only flying Avro Vulcan jet bomber (the same type that bombed the Falkland Islands back in 1982), and that this was likely to be one of the only opportunities to see these three big Avro-built aircraft together in the sky. We knew that most people were going to head to RAF Waddington further north to see the three aircraft take-off, but we hoped that the fact that they were going to be at RAF Marham wasn’t so well known. Turns out it was not a total secret as details of the flight of the three aircraft had been released on the internet the day before, so when we arrived there were already plenty of cars (and photographers) starting to park up in the fields surrounding the base, trying to get a good viewing position. Thankfully while there were quite a few people around (several hundred in our general area perhaps), there was still plenty of room for everyone and we all had a chance to find a good viewing spot. 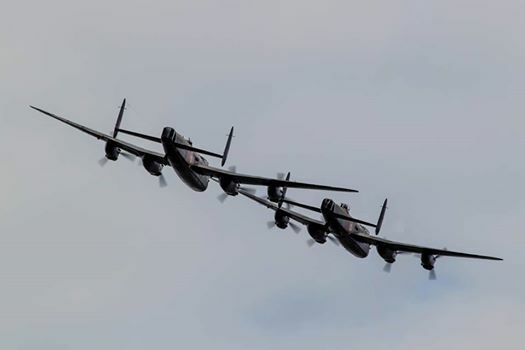 RAF Marham: Two Lancasters in formation. The only blot on the day was the fact that yet again the wind was blowing relatively strongly, and it wasn’t all that warm—the temperature was not really a problem, but the wind does adversely affect us when we’re trying to shoot video. Ah well, we make do with what we get. Around 2:30 the two Lancasters and Vulcan turned up overhead — a very impressive sight, and certainly one that hasn’t been seen before I suspect. 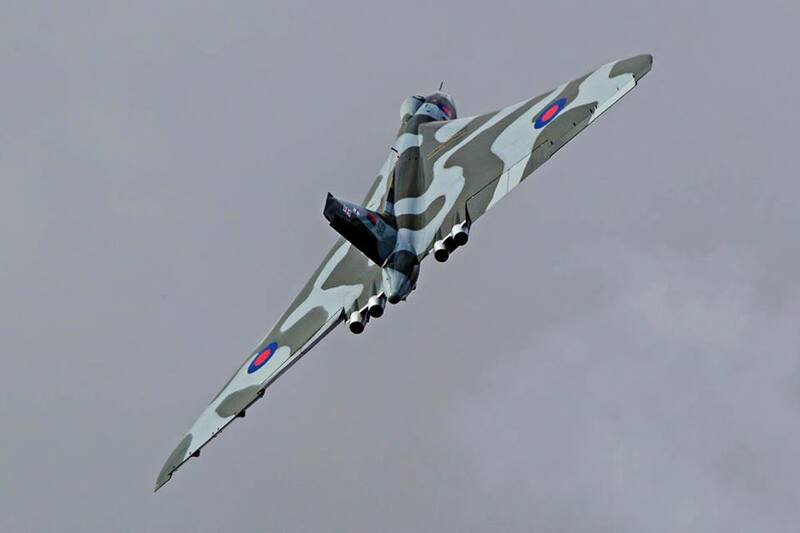 Unfortunately the Vulcan only did a single pass and then headed off to the airshow at Clacton further along the coast. The two Lancasters did a somewhat sedate display as they’d done at Shuttleworth last week, but it was still a real treat to see and hear them together again. Watch out for the video footage on our YouTube channel in a few weeks when we get a chance to edit it up and publish it. This entry was posted in UK Tour and tagged avro vulcan, bbmf, bomber aircraft, east kirkby, lancaster bomber, Norfolk on August 25, 2014 by Historical Aviation Film Unit. Having attended the Sywell Great War Airshow on Sunday the 17th, the following day meant that we’d finished our current stay in the Bedforshire area and it was time to head further north once again. This time we were off to Newark-On-Trent for a couple of nights prior to heading to East Kirkby to see the Lancaster ‘Just Jane’ do one of her engine and taxy runs. View of the church just behind the Newark town square. Newark turned out to be a pleasant place to stop—it has a laid back relaxed feel to it. After arriving and checking into our (nice) hotel we had a bite to eat at a local cafe, then spent some time strolling around the market that was being held in the town square. As has become somewhat common in the past week or two we then had a beer and meal at a local pub, and that set us up quite nicely for a relaxing evening. On getting back to the hotel that evening we discovered a brochure for the local Newark Air Museum and decided that we really needed to stop in there the following morning to check it out. Our first impression upon arriving was that yes, as expected, this was a little back-water aviation museum, of little renown. Parked on the grass just inside the gate were a Gloster Meteor, and Canberra bomber, both looking a little sad and dejected about spending their retirement outside in the weather. Further into the compound was a Vulcan bomber, and around the back more large aircraft (sitting outside) — another Canberra, Shackleton, Hastings, Lighning fighter, Super Sabre and others—all showing the tell-tale signs of lives outside in the weather, to one degree or another. 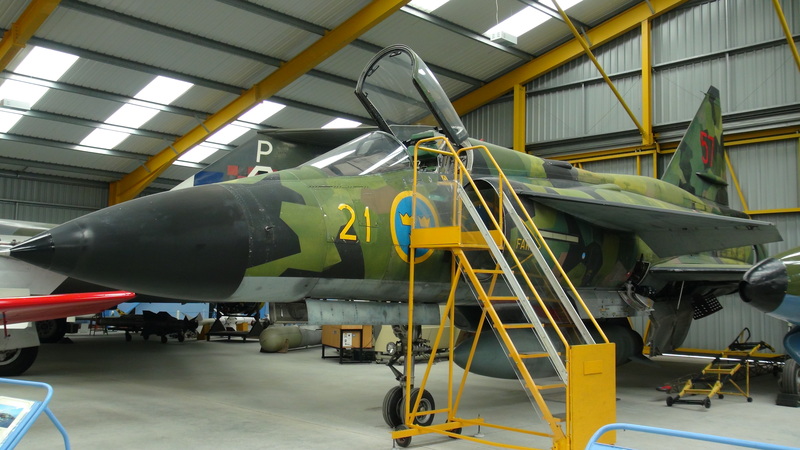 Newark Air Museum: Saab Viggen inside one of the unexpectedly impressive display hangars. Eventually we headed for one of the two nondescript display hangars to see what forlorn displays awaited us inside. This was the first of the surprises for the day! Inside was an impressive collection of well maintained aircraft and aviation artifacts in a spacious, well lit and well maintained hangar—not what we’d been expecting to find. The second even bigger display hangar was the same, only on a grander scale—a significant number of large aircraft displayed in a great way, in very good conditions. Turns out our first impressions were wrong and that the Newark Air Museum is a great spot for any aviation enthusiast to while away three or four hours (at the very least) while in the area. 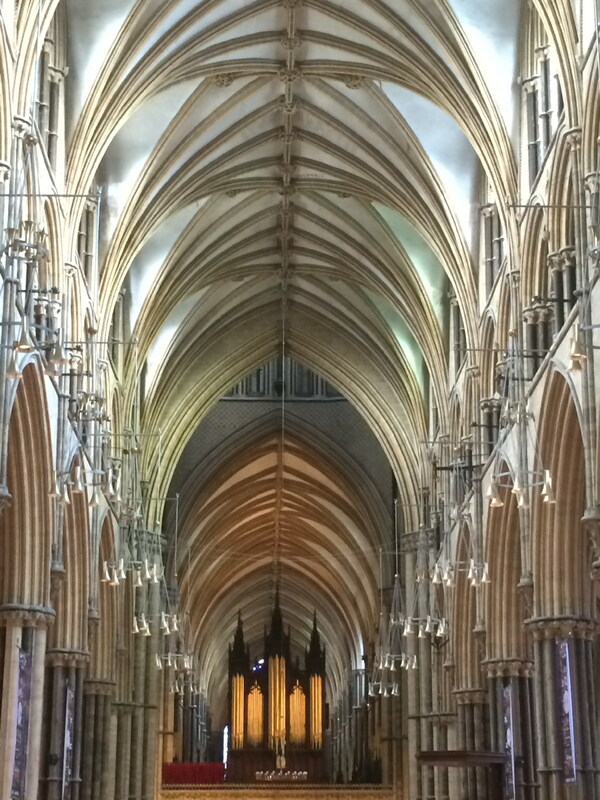 Lincoln: Vast cavernous space within the cathedral. Finishing up at the museum we then decided to head to Lincoln for an afternoon of sight-seeing that didn’t involve aircraft. Driving into the town the first impressive sight was that of the cathedral on top of the hill—certainly a magnificent looking building even from a distance. I’m not sure that we have anything to compare it with in the Antipodes. 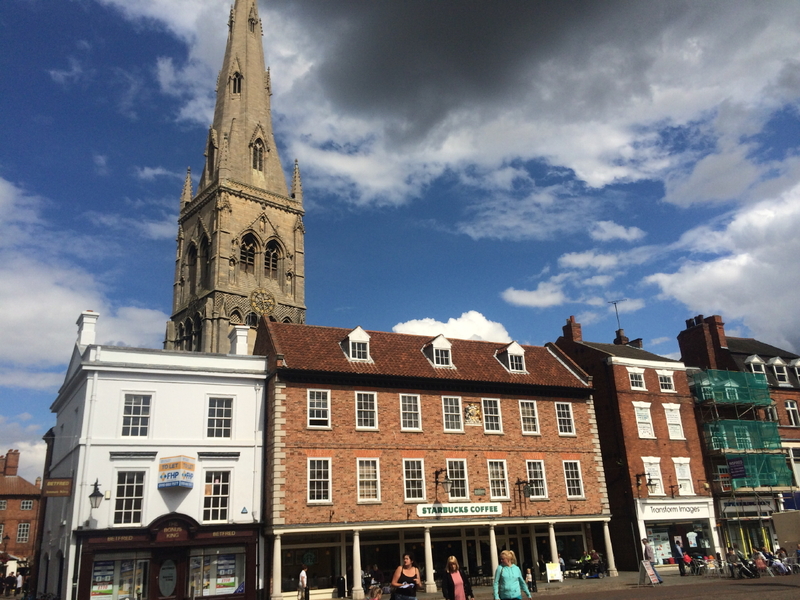 Eventually we found a carpark, walked through town, and sauntered up (the aptly named) Steep Hill to go and take a look at the cathedral close up. As expected when you’re standing directly underneath the imposing structure it is even more impressive. However, that was nothing compared to walking inside—that was the third surprise for the day. 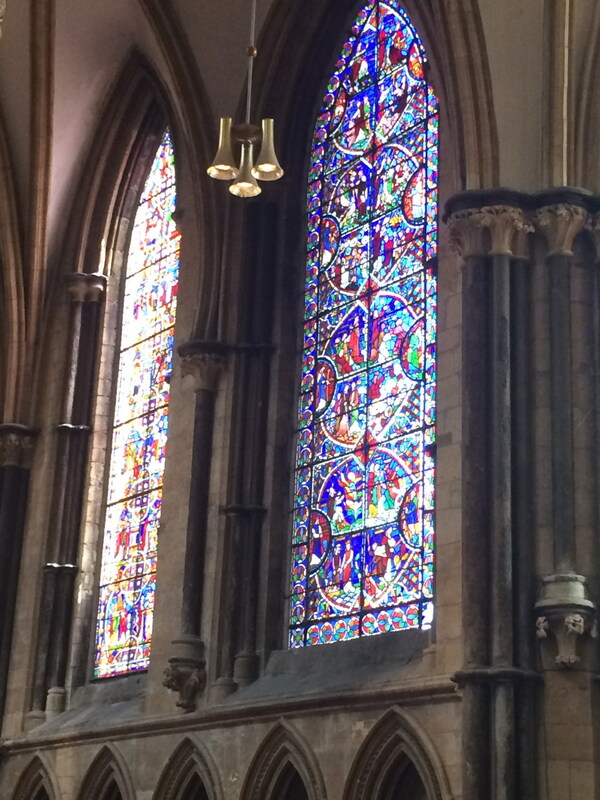 Those of you who have previously been in a building like the Lincoln Cathedral will already understand this, but to those of us who haven’t done it before, stepping inside and experiencing both the vastness of the building, and then the beauty of the stained glass windows as seen from the inside was a revelation. Lincoln: Stained glass windows as seen from the inside of the cathedral—it’s a very different view of the windows from that seen form the outside. All in all it was day of many surprises, so we’re hoping we have a few more days like this on our trip ahead. This entry was posted in UK Tour on August 24, 2014 by Historical Aviation Film Unit. Finishing up at Woburn Abbey on Saturday (16th), and having checked the weather forecast for the following day, we decided that before heading back to our hotel in Luton we’d quickly head across to Old Warden to see if we could watch the two Lancaster bombers fly over the Flying Proms event being held at Shuttleworth that evening. Lancaster: The Canadian Lancaster B X FM213 flies overhead at Old Warden prior to the Shuttleworth Collection’s Flying Proms evening event. The reason for this was that while we were planning on seeing the two Lancasters display at the Sywell Airshow the following day, we figured we should make the most of every opportunity to see them, particularly when the weather forecast for Sunday the 17th wasn’t so great. At we got across to Old Warden we found that many locals had also had the same idea, and the narrow country lanes were rapidly becoming full of cars parked up, with people jumping out and looking for a spot in any nearby field to watch the aircraft arrive. We finally found a spot to park our car, and joined hundreds of others, expectantly waiting to see if the Lancasters would show up. We were not disappointed — it wasn’t long before we could make out the throbbing of eight Rolls Royce Merlin engines steadily approaching. Then, there they were, just over the trees in the distance and rapidly increasing in size as they got ever closer — two magnificent bomber aircraft flying in close formation — for many it was a hair-sticking-up-on-the-back-of-the-neck moment, and given the relatively pleasant evening conditions, a moment that many will remember for a very long time. 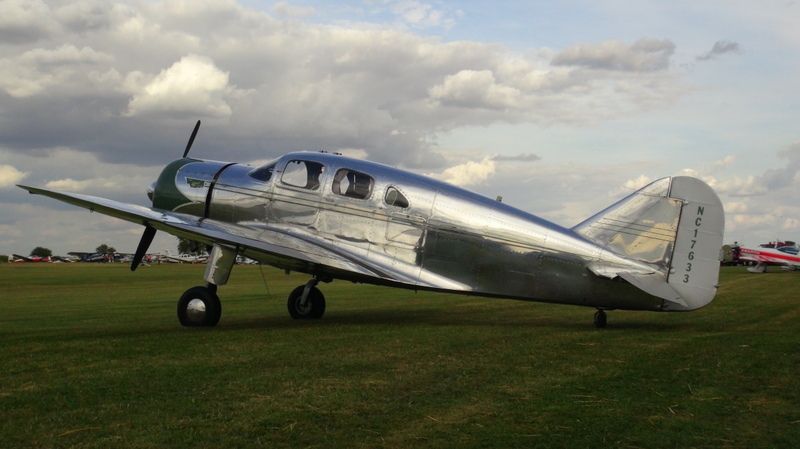 It was certainly worth the time and effort to make the trip to Old Warden for the evening. 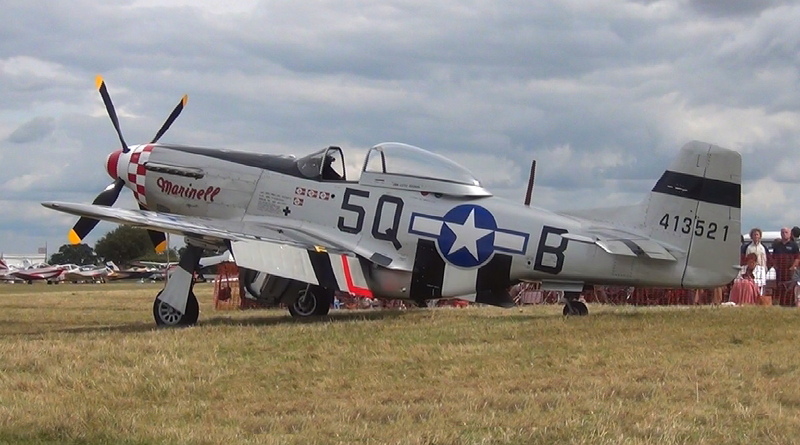 Sywell Great War Airshow: One of the few airworthy remaining ex-RNZAF P-51 Mustang fighters. The example is operated from Hardwick in Norfolk. Unfortunately the following day at the Great War Airshow at Sywell things were not to go so well. Increasingly rough weather during the day mean that the Battle Of Britain Memorial Flight decided to cancel their scheduled displays so we didn’t get to see either the two Lancs, or any of the other BBMF aircraff that were set down to display during the show. Despite that there were a number of excellent displays throughout the display, including the Grace Spitfire, the two Hardwick Mustangs, Hurricane, Canberra, Mystery Ship, wing-walkers and many others. RAF Red Arrows: Four of the Royal Air Force’s premier display team, the Red Arrows, churning diesel smoke at the Sywell Airshow. The pinnancle of the show for most, particularly for those of us who have not previously had the chance to see them, was the Royal Air Force’s ‘Red Arrows’ display team. In our opinion they put on a fantastic display, and we’d be very keen to see them again at some point. Hopefully sooner, rather than later. By the time the Red Arrows had finished up, the weather was beginning to turn again and the crowd started to drift away. Although it had been a very windy day, and quite chilly at times, the flying displays had been well worth watching and it had been an enjoyable event—even if we did miss out on seeing the Lancasters again. Perhaps we’ll have better luck later in the trip….. This entry was posted in UK Tour on August 23, 2014 by Historical Aviation Film Unit. With the Moth Rally to be held at Woburn Abbey in Bedfordshire on the weekend of the 16th/17th August, once we’d finished on the south coast it was time to head north again ready for a weekend of aerial activity. On our way we made sure to call in at the de Havilland Aircraft Museum in Hertfordshire. 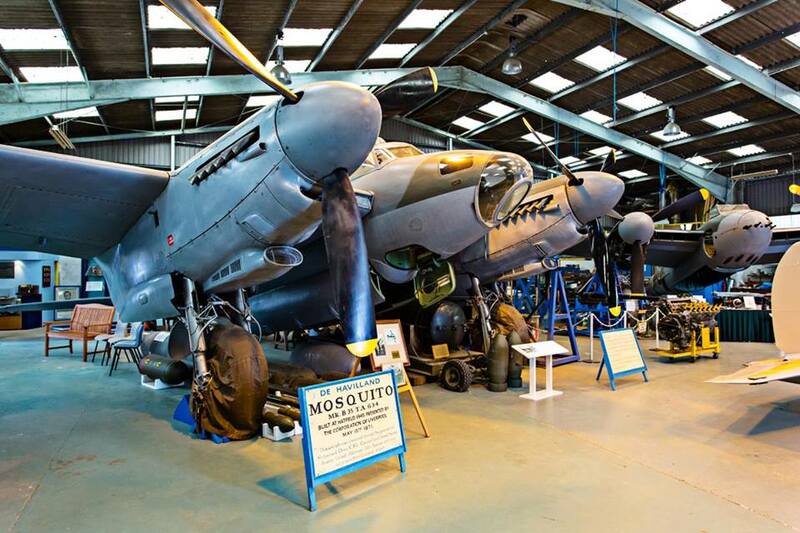 Two de Havilland Mosquitos at the de Havilland Aircraft Museum. Unfortunately we weren’t aware that the museum is only open three days a week, and Friday was not one of them. So if you are planning a visit to the museum make sure you checkout their website carefully and plan on being there on a day that they are official open. Luckily for us there was a small private tour party booked in for a tour about an hour after we arrived, and so we were able to piggy-back on that tour and get a look around the museum anyway. Phew! This volunteer run facility has a number of very interesting de Havilland airframes – Dove 6, Comet and Trident cockpits, Vampire, Sea Vixen, Tiger Moths, Chipmunk and others, but the crown jewels of the collection have to be their three DH.98 Mosquitos. One of these (a bomber variant) is fully restored, while the second, a Mark VI fighter-bomber is nearing the end of her (static) restoration project. The third D.98 airframe is one of the original prototypes, and while there’s a reasonable amount of work to be done on the aircraft yet, it is hoped to have it completed sometime in 2015. Nowhere else in the world can you see three DH.98’s together in one location. As mentioned, the museum is run and stuffed by many volunteers, and as such it does appear to be run on the smell of an oily rag. However a bulk funding grant has just been secured so that a new large hangar can be constructed in the not too distant future and this will enable the collection to be fully housed indoors, which is obviously preferable for any collection of historic aircraft such as this. 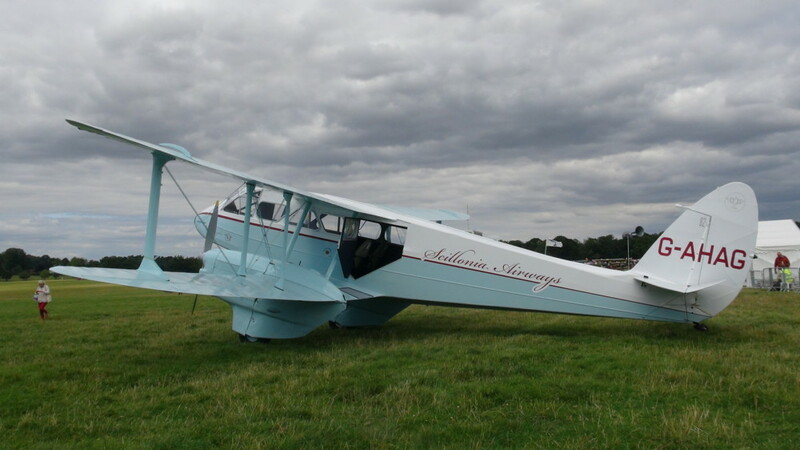 Moth Rally: DH.89a Dragon Rapide. 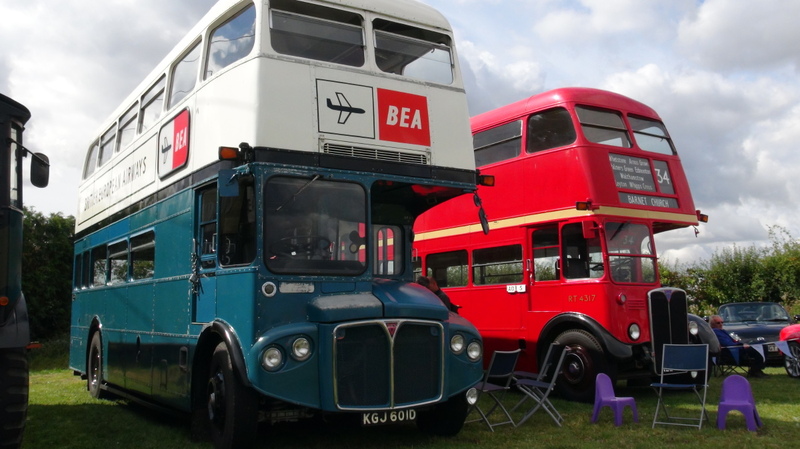 The de Havilland theme carried on the following day with our trip to the Moth Rally at Woburn Abbey, which it has to be said, is a magnificently attractive location for an airshow. 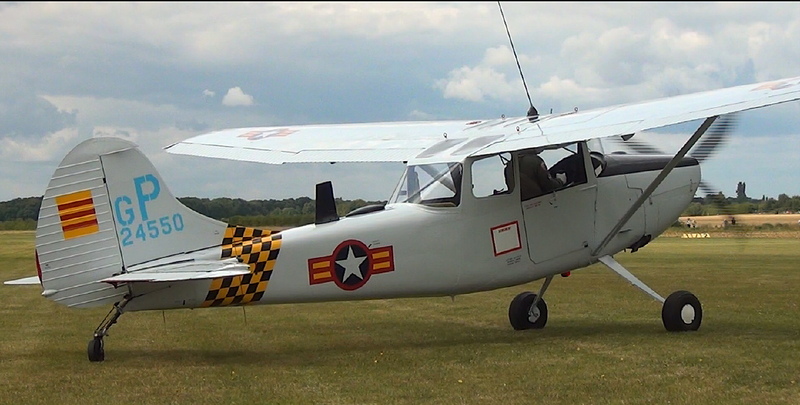 It also has to be said that we had never seen so many de Havilland’s gathered together in one place before, Gypsy Moth, Hornet Moth, Pus Moth, Tiger Moth, Chipmunk, Dragon Rapid and Dragon amongst others. Unfortunately some high winds meant that a number of practice display flights couldn’t take place, but the Tiger Nine team of nine Tiger Moths did practice their routine for the following day which was a treat – though it may not have been too much fun for them as the conditions were probably classed as ‘challenging’. One of the highlights of the day was that a staggering eleven Hornet Moths had gathered together for the event. This was the first time for decades that so many of these aircraft had gathered together in one place at the same time, and it was interesting later in the day watching the procession of these aircraft taxi along the road, along to the front to the Abbey itself. All eleven aircraft were parked up in front of the building for a historic photo shoot – 2014 being the 70th anniversary of the debut of the Hornet Moth. Despite the windy conditions, it was great to finally see some aircraft in the air – the first time we’ve managed that during the tour so far! Things can only get better. This entry was posted in UK Tour on August 21, 2014 by Historical Aviation Film Unit.